Report of the Autumn Meeting in Utrecht on Sunday 30th September, 2018. A good forty members of our contact group found their way on Sunday 30th September to the conservatory of the Utrecht Botanical Garden. The delay in setting up the tea and coffee was no bar to everyone's enjoyment in seeing one another again and admiring the very many plants brought by members, a few destined for the plant discussion later but the majority intended for the raffle tables. The latter were almost bent double under the many bromeliads provided. At about 11 o'clock it was our member Peter Bak (director of the firm Cornelis Bak B.V.) who took the floor to address our chairman, Eric Gouda. Peter said how pleased he was to be able on behalf of the BSI to hand over to Eric the “Wally Berg Award Of Excellence” awarded to Eric by the Bromeliad Society International (BSI). He had been asked to do this when he attended the BSI-organized World Bromeliad Conference in San Diego, USA, in May/June this year. Eric himself had not been able to attend. This prestigious award is given to those who, within the "World of Bromeliads" have for many years given exceptional service to scientific research within this plant family, to collecting and disseminating knowledge through publications about growing the many species, to enthusing the many hobbyists through associations, to protecting the biodiversity in the wild and by discovering and describing new species and so on. The Award, which has been given nine times in the years since its foundation in 2000, has this year, deservedly, fallen into the hands of our chairman! Peter described Eric's activities and achievements in a lively, warm-hearted speech enhanced with various anecdotes. At the end of it, all those present joined in congratulating Eric as, surrounded by flowers, he accepted the replica of the Award, mounted on a wooden panel. More information about the Wally Berg Award of Excellence will be found here. After this there was time for tea and coffee, of which all members made grateful use. Around noon, the house-keeping meeting was opened by our chairman, Eric Gouda. Further present were the treasurer, Piet van Beest, and the secretary, Roel Tomassen. Eric first thanked all those present for their good wishes and Peter Bak in particular for his warm words. He said he felt very honoured in receiving the Award from the Bromeliad Society International. 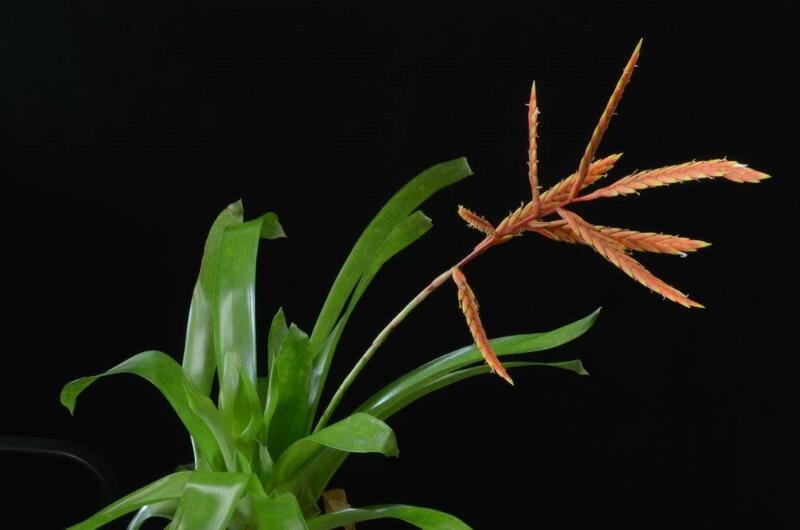 With great regret, Eric reported the death of Renate Ehlers, honorary member of the Deutsche Bromelien Gesellschaft (DBG, the German Bromeliad Society) and authority in the field of Tillandsias. He recalled her exceptional achievements in collecting and describing many new Tillandsia species, her publications on this and her reports of her many expeditions in Mexico and elsewhere. The DBG board has asked if anyone who has any photographs of her would make them available for an article being written in her memory. He then said that Renate Gouda was stranded in Luxembourg due to car problems and would not be able to give her lecture that afternoon. Luckily Piet van Beest would take over with a lecture on a trip to Nicaragua. Piet pointed out in the interests of clarity that if they wanted to, members could pay the € 5,-- yearly contribution for a number of years in advance. 3. Report of the Spring Meeting of 18 March 2018. There were no comments on or criticisms of the report so it was accepted. 4. Visit of DBG and BCG members to the Bak family firm and to the Utrecht Botanical Garden. On April 14th this year, a group of DBG members visited the Bak company in Assendelft in the morning. Members of our group were also invited. After a guided tour of the greenhouses and a lunch offered by the Bak family, the group travelled in the afternoon to the Utrecht Botanical Garden where curator Eric Gouda gave the group a guided tour of the plant collections. The DBG members stayed the night in a hotel in De Bilt and then on their return journey paid a visit to the nursery of the Westerman family in Uelsen, Germany. 5. Open Day with the Van der Hoeven family. On June 10th this year, seven members accepted the invitation from the Van der Hoeven family in Klundert to come and view their plant collections. It was a very pleasant get-together. 6. Re-election of board members. According to the rules, Eric had to resign as chairman this year. He declared he was willing to stand again but observed (with excuses) that in fact the members were not informed in time, in the invitation to this meeting, of the possibility of putting forward opposing candidates. Despite this, everyone agreed to Eric being re-appointed as chairman for a further three-year period! Eric reminded those present about the memorandum from the board sent to them on June 13 this year concerning the consequences for the group of the recently introduced European privacy legislation (the GDPR). This memorandum described how the data about the group members should be handled. Not everything was completely clear as yet as what actually was or was not allowed but the memorandum described how certain data would be handled for the moment. Were future developments to require changes to this preliminary text, the members would be notified. The members did not at that time have any comments about the memorandum. In the context of Open Days, Albert Ebbink from Haaksbergen invited anyone who was interested to come and see his conservatory on Saturday 8 June 2019, starting at 11 o'clock. Please register in advance, either by email to al.ebbink@kpnmail.nl or by phone on 053 5740709. 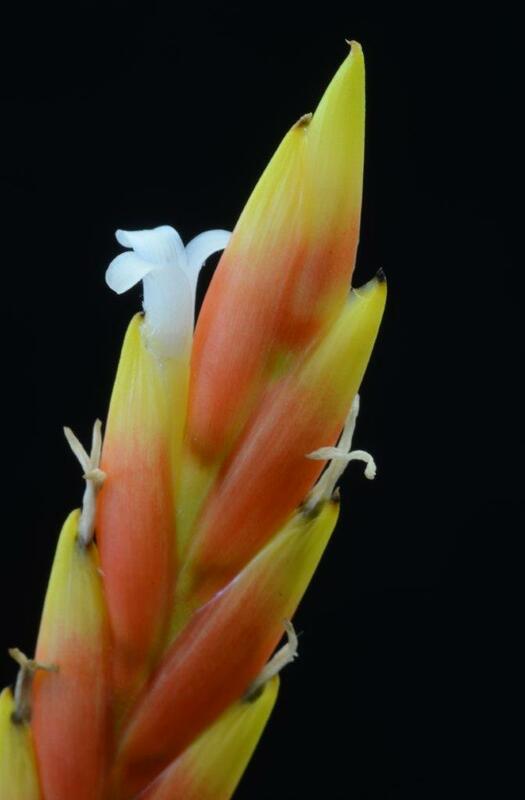 Among other options, we shall look into the possibility of another visit to the Ibes Nursery (Tillandsias) in Huissen. Members will get further updates in due course. The original dates planned for meetings have now been changed as follows: Spring Meeting on Sunday 31 March and Autumn Meeting on Sunday 6 October 2019. Both as usual in the conservatory of the Botanical Gardens in Utrecht. Members have already been notified about this. 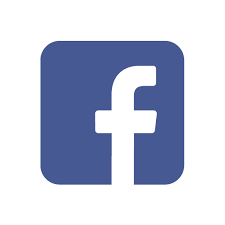 Jasper van den Driesche, our co-ordinator for the Facebook site was looking into how to handle certain data (such as images of people) on Facebook in the light of the privacy legislation. He was also considering adding more extensive information about our group, its aims and so on. Eric referred to our existing photo gallery as an aid. Albert Ebbink brought up Krazy Glue. It is a fantastically good glue for sticking plants (Tillandsias and so on) to wood, cork and stone. It is a glue type (gel) that dries quickly, is completely harmless to plants and animals and attaches plants (even quite heavy ones) really firmly. For more information, see the gel or the liquid variety (thoroughly tested by Eric) on the Diarama website or on the YouTube video. This ended the housekeeping meeting. Then Eric discussed the few plants that members had brought, together with some plants from the Botanical Garden's collections. During the lunch break the huge number of plants displayed on the tables were raffled. Almost everyone could go home with one or more new acquisitions. The afternoon programme was devoted to an interesting trip through Nicaragua whereby Piet van Beest showed us beautiful slides of flora and fauna. Due to personal reasons, Renate's scheduled lecture over Brazil was deferred to the next meeting. Our guest, Joep van Moonen, then took us to French Guyana, where he has had a so-called ecolodge since 1990. His video told us the story of how his beautiful, hospitable lodge was created and showed the tropical nature of the whole area which, for interested visitors and nature lovers lies, as it were, invitingly open! This ended our Autumn Meeting. The chairman closed with a word of thanks to Piet and Joep for their fascinating presentations and wished everyone a good journey home.